On a recent visit to my parents' house, my daughter wanted me to take her photo by the weeping cherry tree in the backyard. 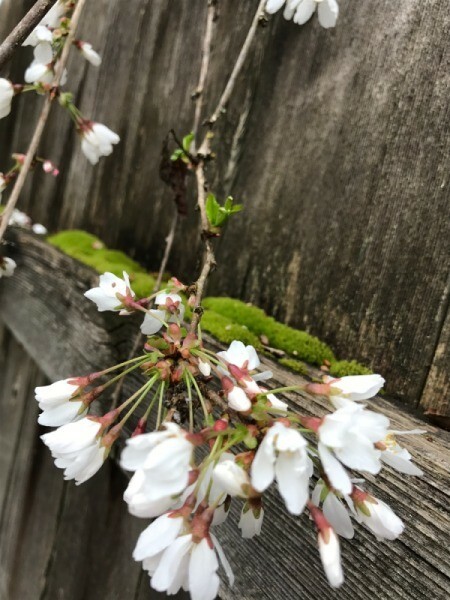 While I was out there I noticed the little clumps of moss growing on the fence and thought it looked neat peeking out from between the blossoms. I love all the hidden moss that you can find growing everywhere in the Pacific NW!